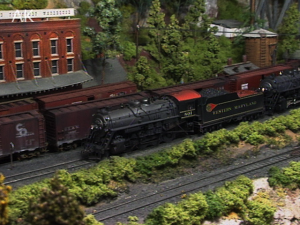 To experience one of our hobbies greatest layouts, you must see the Howard Zane 3-video tour of his Piermont Division of Western Maryland. Over 3 volumes, covering years of work, you’ll see some of the best scenes, techniques, and realism that is possible with model railroading. 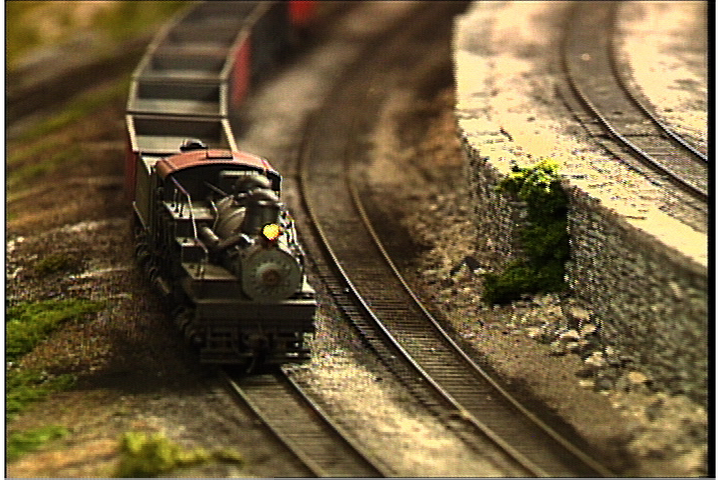 Nearly 3 hours of model railroading’s finest. The Piermont Divison of the Western Maryland is Howard Zane’s beautifully scenicked and detailed model of a West Virginia coal hauler. This layout, a window into the past, evokes fond memories of a different time in America. You’ll enjoy railfanning this layout set from 1955 that Howard loves to share. He and his friends will show you techniques for building spline roadbed, maintaining locomotives, and painting a scene with ground cover. You’ll also get a close-up explanation of the incredible amount of detail on this layout. 59 minutes. This is Part 2 of Howard Zane’s Piermont Division. 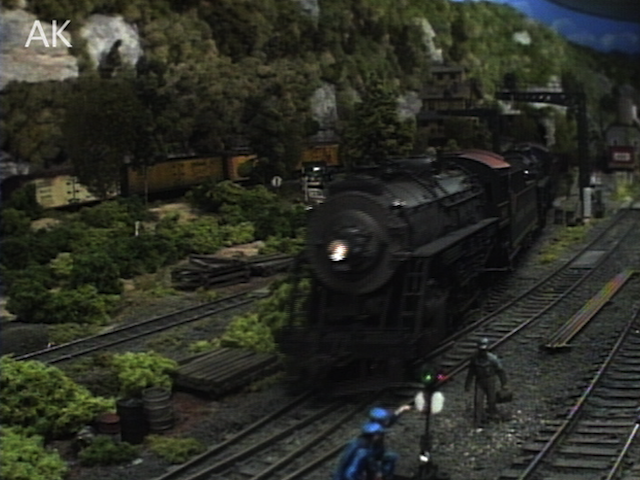 This HO layout showcases 1950’s era Appalachian railroading using equipment from the Clinchfield, Western Maryland, Chesapeake & Ohio and Norfolk & Western. 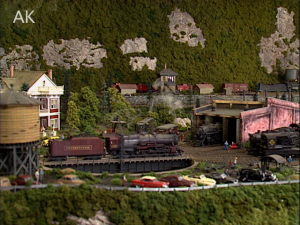 Since the original layout tour documented in Volume 12, Howard increased the layout area by a factor of 4 – to 2,850 square feet. In this video, we concentrate on all the updated areas. Howard considers the Piermont to be a painting created with plaster, paper, foam, rocks and dirt where he can bring to life the fabled coal hauling roads of the east. The railroad features spectacular bridges, deep scenes and breathtaking vistas. 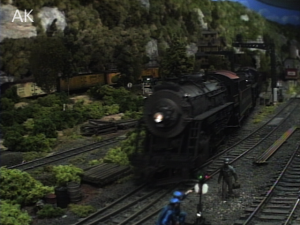 Howard will show you how to build a structure, color a steam locomotive boiler, build scenery without plaster and add a diorama to a layout. 57 minutes. This is the third visit to Howard’s artistic layout. After the first two Volumes, Howard completely scenicked the second addition and redid the original HO layout that we documented in Vol. 12. 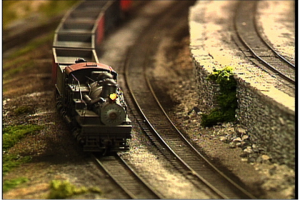 This 2,850 square foot layout is one of the hobby’s most important artistic achievements. The railroad has spectacular waterfalls and bridges along with mountains, mines and urban structures. Howard will show you how to make a waterfall, super-elevate a curve, add coal to a tender and make a road from cardboard. 59 minutes.